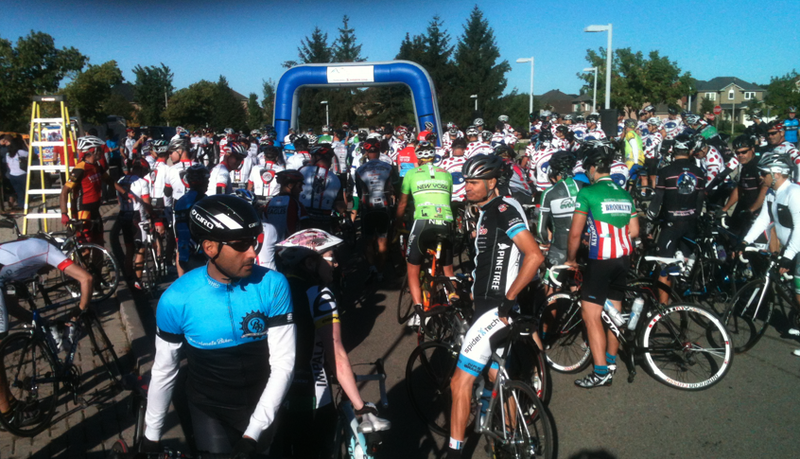 This year, I had the pleasure of participating for the first time in the Ride for Karen. 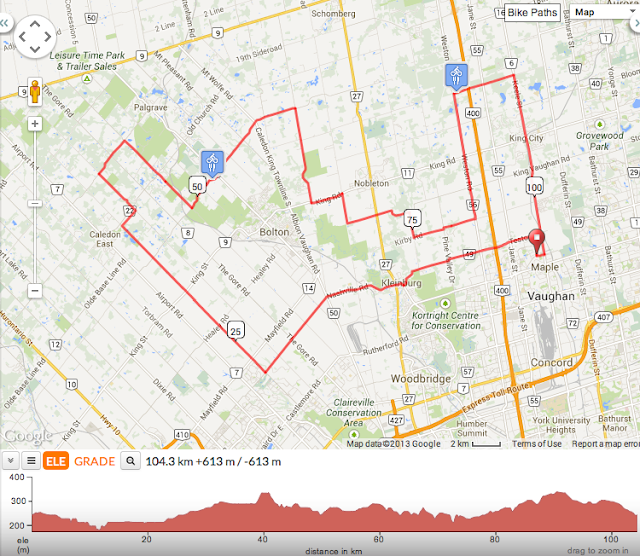 Starting in Maple, the route explores parts of Vaughan and King in York Region, as well as sections of Peel Region. It was the 12th consecutive year the event has run and, since the beginning, has raised over $2M to help kids with cancer. What's impressive is that it is all run by volunteers, and thanks to sponsorship from Scotiabank, 100% of funds raised go to charity. 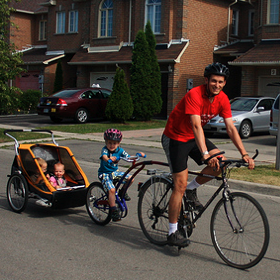 "Holy smokes," said a little girl playing on her front steps as the huge pack of cyclists passed through her neighbourhood. I couldn't help but grin to myself. It is quite a wonderful feeling being part of a special event like this. It was like I was being pulled along by the other cyclists, and I shared their sense of community and camaraderie. The ride took us through scenic countryside, forests and wetlands, and rolling hills, and the weather was beautiful. At the first rest stop, at about the 50km mark, I loaded up on electrolytes, powerbars, oranges, and other good stuff. Having not done any long training rides leading up to this ride, my thighs were feelin' the burn. 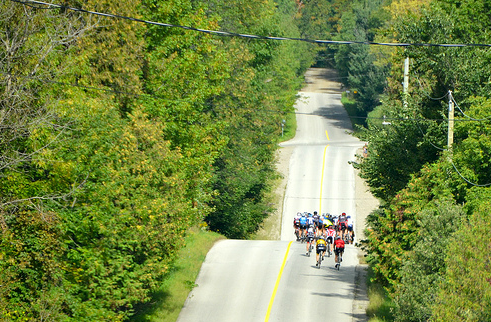 The second rest stop, near Weston & 16th Sideroad, was the point where the 160km and 100km riders split, and the 100km riders like myself bypassed a challenging hill north on Weston. A delicious BBQ awaited me at the finish and I celebrated a successful ride. It was a top notch event and I hope to participate again in the future.